The splint on reporter Erin Kayata's arm the day after she broke her elbow on Dec. 25. Nine days later, I was on the ground of my aunt’s driveway with a broken elbow thanks to an innocuous patch of ice. The good news is I was only in a full-arm splint for 10 days. The bad news is one misstep cost me 10 days of upper mobility and eight weeks of physical therapy. Having never broken a bone before and being able-bodied my entire life, the past several weeks have been a lesson in the mental and physical side effects of even a simple radial fracture. I’m not naive enough to think this was the worst that could have happened to me. But having been able-bodied most of my life, it was a shock to me an injury like this had on both my physical and mental health. Having taken courses on disability in college, I was familiar with the “spoon theory” from Christine Miserandino. The theory uses spoons as a metaphor to explain how people with chronic illness or disability need to allot their limited energy for certain daily activities. I didn’t understand this fully until I was forced to do everything with one arm. 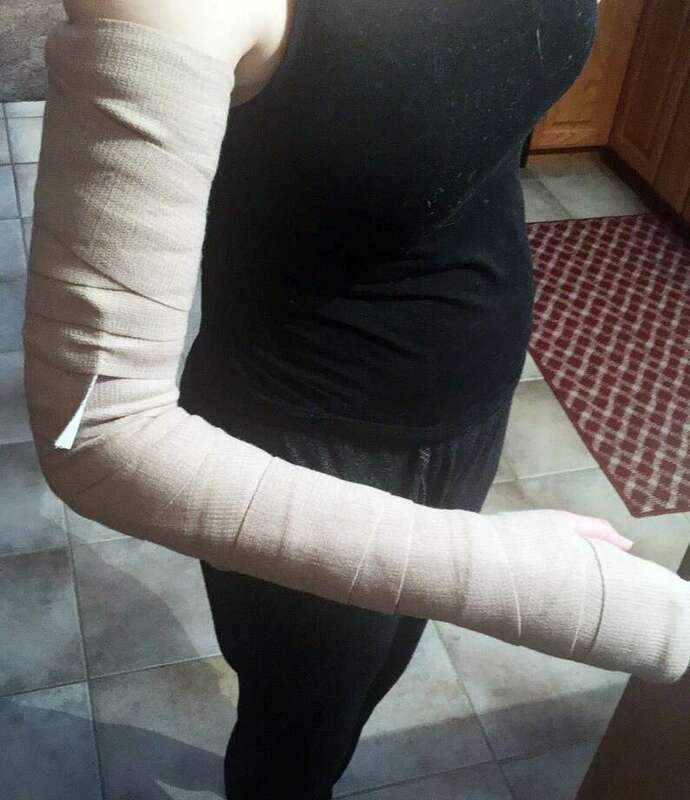 I underestimated how exhausting even getting dressed in the morning could be, particularly considering the struggle of fitting my sleeves over a large splint (additionally frustrating: being limited to three sweaters with sleeves fit to accommodate the splint as well as short sleeves in single digit weather). While I was proud when I finally configured a way to pull my hair into a ponytail with one arm, I was also tired by the end of it from lifting a heavy splint over my head. The amount of energy I expended on even the simplest tasks forced me to make choices: was it worth it that day to take a bath or should I save that energy to go out with friends? Would I be able to handle sitting through a meal out or a party at my friend’s for New Years? Even now with the splint off, I’m trying to carry this lesson with me as I go into physical therapy. As someone who once walked around two weeks with a sinus infection, I’ve always been resistant to slowing down to take time for my body to heal and to work on the stretches that’ll help with that process. Equally frustrating was how my injury forced me to rely on other people. One of the traits I most define myself by is my independence. I thrive off of doing things on my own. The month before my injury, I went into New York City by myself to see Mary Lambert in concert and it was one of my favorite experiences ever. But being in a full arm splint left me relying on my mom to wash my hair and filling out my medical forms at the doctor’s. I couldn’t drive and I needed someone else to cut my food, leading to some very embarrassing moments in restaurants. Even putting on a coat or earrings required assistance. As much as I value my independence though, I learned the equal value in having a parent who’d help me style my hair when I was down an arm or people who’ll carry my suitcase for me while I’m temporarily banned from lifting anything over five pounds. I’m also aware in my own privilege in all of this: that I’m young and can quickly recover, that what I went through is minor compared to what some people experience in one day and that my only concerns are health and not financial thanks to insurance. And while if I had choice, I wouldn’t have picked ending my Christmas in the emergency room, I’m hoping this keeps me aware of what some people go through each day.